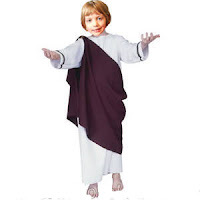 The Boy has been working on a project. 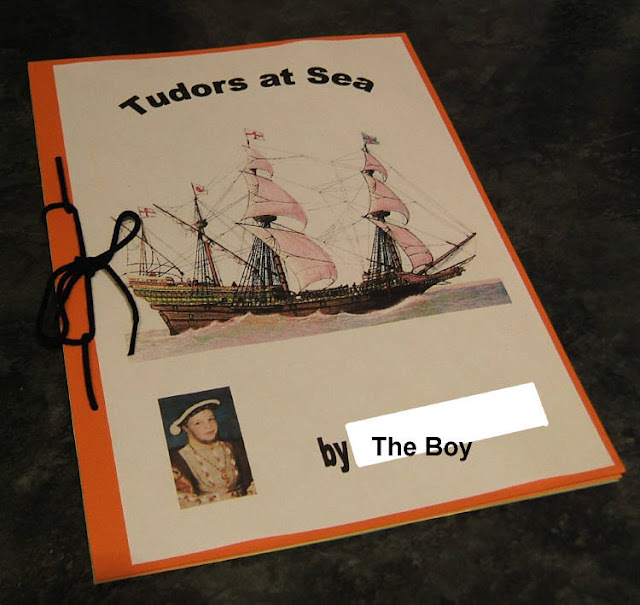 He's been learning about the Tudors at school, and was asked to do a project on some aspect of the Tudors that interested him. He worked really hard at his research and typed up various chapters about trade, exploration, piracy etc. He illustrated it beautifully, stuck the pages onto card and put it together in a booklet. The Girl has been working on a project. 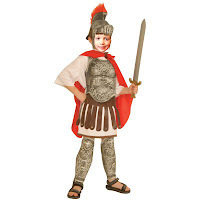 She's been learning about the Romans at school, and was asked to do a project on different aspects of everyday life for the Romans. She worked really hard at her research, made little booklets to contain her notes and wrote down lots of information. 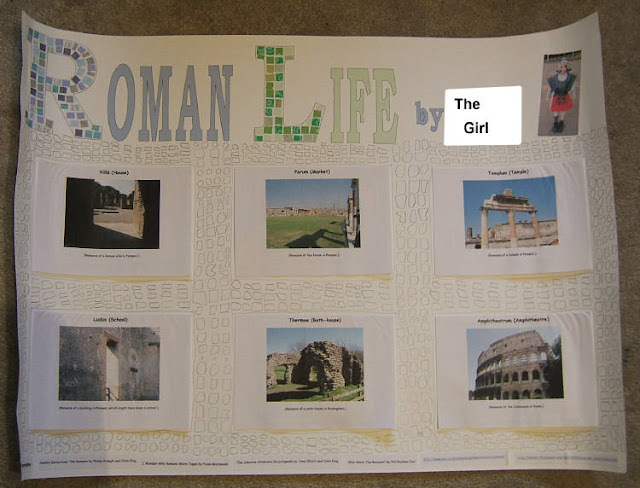 She decided that she wanted to use Roman buildings to represent the different aspects of everyday life, and together we went through our photograph collection and found pictures of Roman remains that she's seen (in Pompeii and the Lake District). I then helped her to type up her notes, and she stuck it all together on a large piece of card to make a scroll (storage and transportation mode) or poster (display mode). Brilliant projects, amazing how a tenuous link to something like lego can end up perfect. Love the way the Roman project has all the little mosaic squares. And I hope you're very proud of yourself as well.....3 great projects.Think I've got somewhere else to go now. Awesome projects! I love it when the kids grab a hold of something and run with it. DD had to do a project on the food & eating habits of Italy once, and it was so fun to choose photos from our visit there. She got an A+! wow, cool projects. I loved history at school and we went the local roman villa for class trips etc. Glad u didnt get ur son to watch The Tudors, far too racey. You know I love the projects :) Great stuff. Well done to your kids on great projects. Like mother, like children. Just as long as they didn't ask you to vote! It's very stressful making sure one doesn't miss a day. Why didn't you tell us about your project sooner?!?! I didn't even know you'd entered the competition :P !!! Bless, the boy and the girl look like future scrap stars in the making! What fabulous presentation on both project...amazing, isn't it when a little motivation sends them off on a roll! I love how their faces are incorporated!!! Whatever will we do when voting over?...It's becoming part of my daily routine!!!!! Wonderful looking projects! Love the mosaic titles. 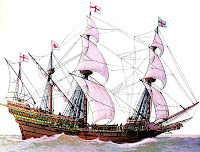 Both my sons are actually named after Elizabethan privateers. Cool Projects, looks like everyone has been busy! Great projects!!! They look wonderful!!! Do they do lapbooks in the UK? They are really popular over here for school/ homeschooling projects.